LaLiga, Spain’s football league, conducted a three-day training workshop for Indian coaches in New Delhi from 13th to 15th April 2019. In association with India On Track (IOT), 48 LaLiga Football Schools India coaches from across the nation were brought to Delhi with an objective of increasing their knowledge and showing them the LaLiga systems and methodology. The workshops were conducted by LaLiga Football Schools Technical Director, Javier Cabrera, Spanish coordinators - Saul Vazquez, Regional Technical Head, West and Jon Diaz de Cerio, Regional Technical Head, Kerala with the support of LaLiga Sports Coordinator, Juan Florit. The training was delivered to provide them with theoretical and practical understanding of maximising the potential of aspiring footballers in the country. The coaches also got an opportunity to interact one-on-one with the LaLiga trainers and gain a valuable experience which will be translated to the grounds and increase the level of training for the students in LaLiga Football Schools. LaLiga is the first international league to introduce such a programme to ensure sustenance and long-term impact of grassroots development initiatives in India. LaLiga Football Schools were launched in India in 2018 and have engaged directly with over 12,000 students and coaches. Launched in association with IOT, the project has now expanded to reach students in 40 centres across 14 cities in India. Summer training camps for students were also recently introduced as a part of the LaLiga Football Schools initiative, the training for which is being delivered by the coaches who attended the ‘Train the Trainer’ programme. Founded in 1984, LaLiga (Liga de Fútbol Profesional) is a sports association comprising the 42 teams that make up the first and second divisions of professional football in Spain. 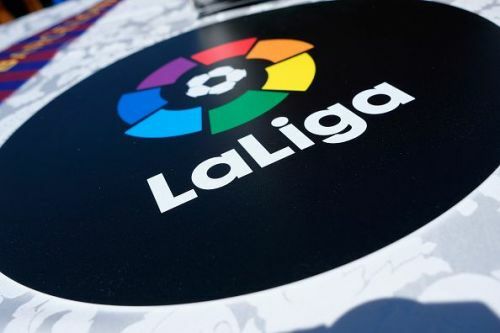 LaLiga, based in Madrid, is responsible for the LaLiga Santander and LaLiga 123 leagues and the television production, which in the 2016/2017 season reached more than 2.5 billion people globally. The association also has an active foundation and is the world’s first professional football league with a league for intellectually challenged footballers: LaLiga Genuine.